When and how did Abaddon form? 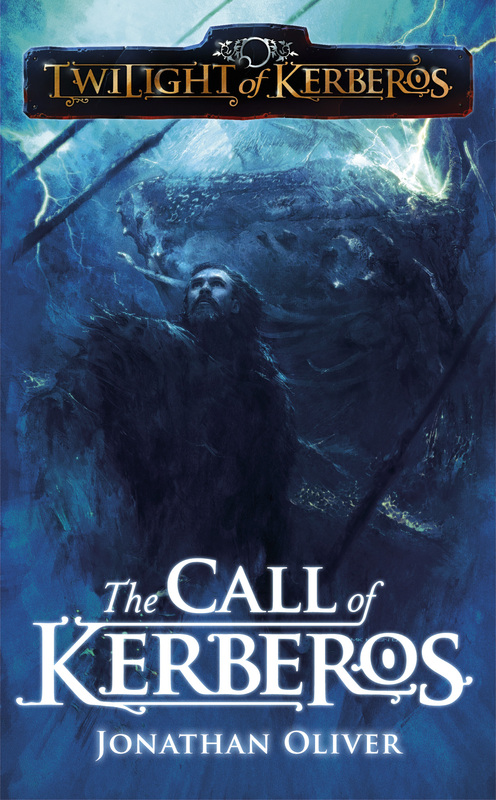 Abaddon were set up by Jason and Chris Kingsley and myself (Jonathan Oliver) to publish great genre fiction, using the shared worlds and serial fiction model often used by tie-in publishers. Rebellion also wanted to generate IPs that they could then go on to develop in other media. I’ve been a horror fan longer than I’ve been a SF or Fantasy fan, though I love all genre. I started with the biggies: King, Koontz, Herbert and Laymon, but then discovered the works of Ramsey Campbell, which really opened up for me what horror could be. It was also Ramsey who stressed to me how important it was to read as widely as possible. Campbell showed me that horror, at its best, has just as much to offer as the more ‘literary’ genres. There’s a side of me that’s attracted to the darker side of fiction, but also to the possibilities horror opens up. What type of horror do Abaddon publish? Well Abaddon publish the zombie line Tomes of The Dead and we had a short-run horror espionage series with The Infernal Game by Rebecca Levene. There have certainly also been horror elements to our steampunk series, Pax Britannia, as well as our sword-and-sorcery series, Twilight of Kerberos. With Solaris we have slightly more horror with such titles as the brilliant Concrete Grove by Gary McMahon, the astonishingly beautiful Deadfall Hotel by Steve Rasnic Tem (due 2012), the savagely disturbing Loss of Separation by Conrad Williams, the labyrinthine and Kafkaesque Regicide by Nicholas Royle and a great urban fantasy, Desdaemona, by debut author Ben Macallan. Talk us through some of the key authors at Abaddon. We love all our Abaddonites equally, but there are authors we work with a lot. So we’ve had a long and brilliant working relationship with Pax Britannia author Jonathan Green; Mike Wild and Matthew Sprange have been sharing duties with myself on Twilight of Kerberos and Rebecca Levene has produced some stunning work for us in Tomes of The Dead, The Afterblight Chronicles and The Infernal Game. It’s also great to support up-and-coming authors who have since gone on to further success; people like Simon Bestwick (author of the forthcoming The Faceless), Weston Ochse (author of Tomes of The Dead: Empire of Salt and the forthcoming The Afterblight Chronicles: Blood Ocean) and, of course, Gary McMahon, who is one of the strongest voices in horror at the moment. We have so many books coming up, let’s concentrate on the horror. 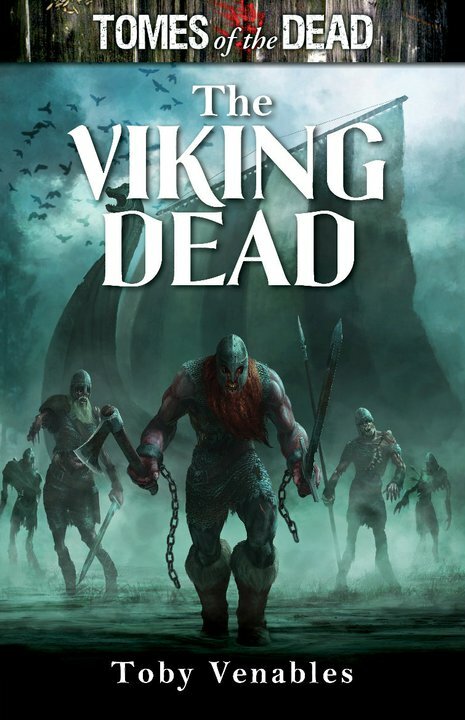 From Abaddon we’ve just had Tomes of The Dead: The Viking Dead out by Toby Venables. That’s vikings versus zombies. How cool is that?! Also we have Tomes of The Dead: Double Dead by US author Chuck Wendig, due out in November. Before that, in August, we have Tomes of The Dead: The Best of Tomes Vol 2, which includes Hungry Hearts by Gary McMahon, Tide of Souls by Simon Bestwick, and Way of The Barefoot Zombie by Jasper Bark. With Solaris, in June we have Desdaemona by Ben Macallan, in August we have Sympathy for The Devil by Justin Gustainis, in September we have a new novel from Nicholas Royle called Regicide, October sees the release of my horror anthology, House of Fear and in November we have a horror fantasy from Richard Ford called Kultus. What Abaddon releases are you most proud of and why? With so many books published this is very hard to answer. I’m very chuffed that we published Gary McMahon’s first mass market novel with Tomes of The Dead: Hungry Hearts and I was delighted that Simon Bestwick got the recognition he deserved with Tomes of The Dead: Tide of Souls, but really I’m so proud of both imprints. I’m the luckiest man alive; I get paid to work with my favourite people. Certainly they complement it and they do make books more accessible for more people. What is very important is that the publishing industry doesn’t do what the music industry did in regard to download markets and bury their head in the sand and pretend it will go away. We have to be there at the front, leading the way and keeping genre great for the fans. We have a responsibility to produce the best product we can and get it to the widest number of readers. What does worry me is the ease with which e-books are being pirated. Illegal downloading of books is theft and those who practise it, however casually, are damaging the industry and are worthy of our contempt. What authors would you love to see write for Abaddon? I’d like to see more US authors on our list as we do publish in both the UK and US. Other than that, I’m just looking for great fiction that’s well written. Probably H.P. Lovecraft. Because he took that optimist of the golden age and stomped on it. Wonderful infinite universe? Nope! The universe isn’t wonderful, it’s populated by things far bigger than you who see you as ants. His atheist approach to the alien and the other has been massively influential and he’s still a writer we tap into all the time now. What does the future hold for Abaddon? More great titles from our established series, and next year we’re going to be launching a brand new SF series with a well known name at the helm. Watch this space.